Badminton will take centre stage for the next couple weeks at the National Racquet Centre in Tacarigua. THERE will be a buzz of badminton activity from Wednesday with four different events taking place at the National Racquet Centre in Tacarigua. A Badminton World Federation technical officials course will take place on Wednesday and Thursday with new technology being tested. Rampersad said a laser will be used to determine if regulations are being broken in terms of the height of serve. Next on the agenda will be the Pan Am Team Continental Championships which will run from Thursday to February 18. It will be the first time in TT’s history that a Pan Am event will be hosted here. The best men’s and women’s teams in the Pan Am region will compete to earn qualification for the 2018 Thomas and Uber Cup in Thailand in May. Seven men’s and women’s teams will compete, including TT, with the winner in each category automatically qualifying for the Thomas and Uber Cup. The action will continue with a two-day coaching conference on February 19 and 20. 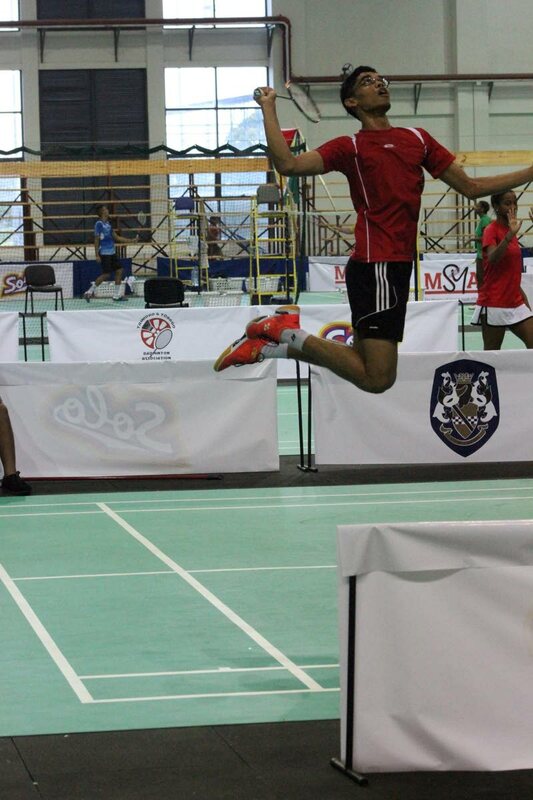 A High Performance Training Camp from February 19 to 25 will conclude the badminton schedule. Local players will train alongside Olympians at the camp which will comprise players from Mexico, Cuba, Brazil, Guatemala and Jamaica. Rampersad said it is a great opportunity for some of the local players to train with athletes from other countries. Rampersad, who is anticipating the events at the National Racquet Centre, said these activities will help TT’s push of becoming known in the world of badminton. “It is something that we have been looking forward to since we were given the opportunity to utilise the Racquet Centre,” Rampersad said. “This is our second tournament in nine months. We had the Caribbean Championships in August where we had about 315 athletes from 15 countries, and that was our stress test in terms of what we could handle. We passed fabulously; it was a wonderfully held event and people want to come back to Trinidad and we have put Trinidad on the map. At that point, we were also able to win the bid for this event (Pan Am Team Continental Championships). Reply to "Badminton takes over Racquet Centre"